In Year 5, we are passionate about reading! It can take us to far off places - real and imagined - without leaving the comfort of our surroundings. It has the power to move and excite us, teach and challenge us; and allows us time alone and time to share! Here, you will find links to our current Book Study themes and texts so the passion for reading promoted at school can be supported at home. This will be added to over time - we need to keep some secrets! As ever, please let us know if you have any suggested additions to this page. Space is amazing... so amazing that we've not only decided to focus on it in Science but also in our Reading and English lessons too! 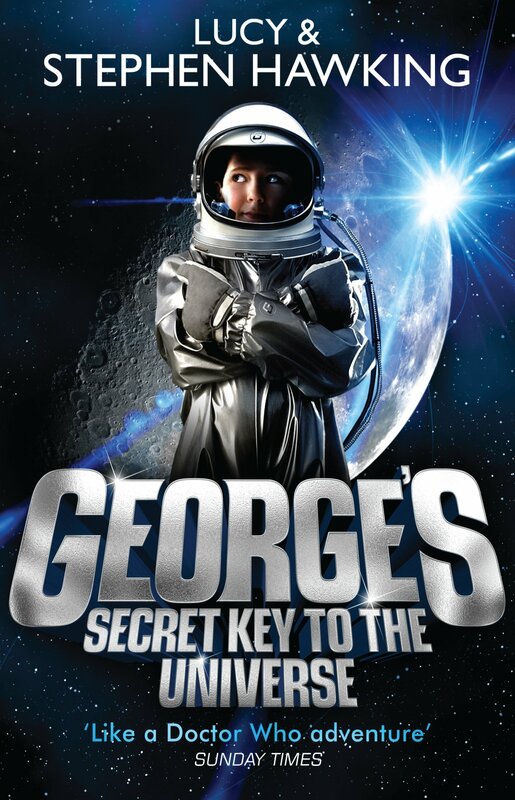 The book we are reading this half term is 'George's Secret Key to the Universe' written by Lucy and Stephen Hawking. That's right, 'The Stephen Hawking'. George is a very ordinary boy, but the arrival of new next-door neighbours changes everything! We will be following George as he travels through space on an exciting and dangerous adventure. Write a report: Cosmos is able to produce a window to the universe in Eric and Annie’s living room. If you could have Cosmos create this for you, what would you want the window to show? What would you be able to see? Write a report on your ‘observations’. Research: Look into star constellations and their myths and legends. Create your own constellation and write the accompanying myth. Think about how you might display both your constellation and its tale. Make: You could tell your tale accompanied by a constellation star jar. You can find instructions on how to make one here. Please let us know if you discover any books to add to this list! It's a secret! But, don't worry; we'll tell you soon!